Vodafone is one of the most liked postpaid connection provider out there. However, in a new move, the operator has hiked the prices of its iRoamFree International plans. For the unaware, in its portfolio, Vodafone ships four iRoamFree plans which allow the subscribers to make international calls, access data while being abroad and much more benefits. The new change in the pricing of the plans has been rolled out silently and the rentals has been increased by up to Rs 499. 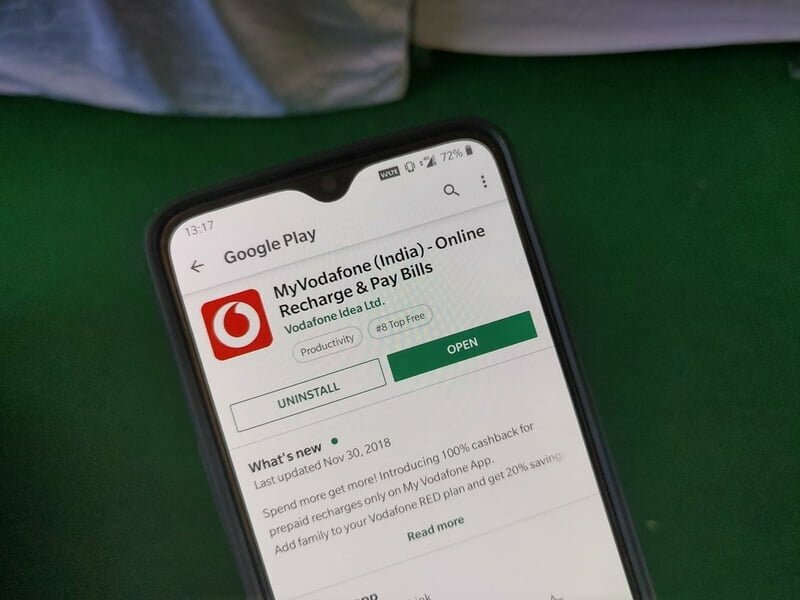 Across its portfolio Vodafone offers the Rs 500, Rs 2,500, Rs 3,500 and Rs 5,500 plans but the new revision ups the prices of these plans to Rs 599, Rs 2,999, Rs 3,999 and Rs 5,999. Vodafone made this change few weeks back. As mentioned above, the new prices of these iRoamFree postpaid international plans are Rs 599, Rs 2,999, Rs 3,999 and Rs 5,999. The Rs 2,999 plan is valid for seven days, Rs 3,999 for ten days and the Rs 5,999 iRoamFree plan is available for 28 days. The entry-level Rs 599 plan offers benefits for just one day and it can be activated while travelling too. Moving onto the benefits, the Rs 599 iRoamFree plan comes with 50 minutes of free calling to Other countries with discounted benefits. Vodafone is offering unlimited service in few countries and the list includes- USA, UAE, Malaysia, Singapore, Albania, Czech Republic, Germany, Greece, Hungary, Thailand, Ireland, Italy, Malta, Netherlands, Portugal, Romania, Spain, Turkey, United Kingdom and New Zealand. So the plans mentioned above offer unlimited benefits of free calling, SMS and data (4G,3G and 2G) for the validity period. In some countries, these plans ship with limited benefits. The countries without unlimited usage are Austria, Argentina, Australia, Bangladesh, Belgium, Brazil, Cambodia, Canada, China, Colombia, Dem. The Republic of Congo, Croatia, Mozambique, Switzerland, Denmark, Nepal, Tanzania, Egypt, Norway, Taiwan, Finland, Oman, Fiji, Panama, France, Peru, Ghana, Philippines, Hong Kong, Poland, Indonesia, Qatar, Japan, Russia, Kenya, Saudi Arabia, Kuwait, Slovakia, Lesotho, South Africa, Luxembourg, South Korea, Macau, Sri Lanka, Mexico and Sweden. In these countries, the Vodafone iRoamFree International plans for postpaid users ship with limited benefits. The Rs 599 plan offers 50 minutes of outgoing calling to the travelling country and to India, unlimited incoming calls, ten text messages and 300MB valid for one day. The Rs 2,999 plan which is valid for seven days offers 200 minutes of outgoing calls, free incoming calling, 25 text messages and 2GB of data. The Rs 3,999 plan offers 300 minutes of outgoing calls to India and local country, free incoming calls, 50 SMSes and 3GB of data valid for ten days. Lastly, the Rs 5,999 plan provides benefits of 500 minutes of outgoing calls, free incoming calls, 100 SMSes and 5GB of data valid for 28 days from the date of recharge. The unlimited free outgoing calls are also free to various destinations apart from the visited country and India. The unlimited free incoming calls are applicable from the originating network. JIO offers Rs 2 per min incoming and outgoing with no pack or monthly activation. All you need is a Rs 199 monthly postpaid plan and the service is available.